This week we are learning about force and motion, and changes in matter. Kindergarten and first grade students love lots of motion, and sometimes need other forces to help them stop, or come to rest. These little scientists are busy exploring centers about movement and motion and changing positions (something they seem to very adept at). They love rolling the balls and cars and finding out ways in which they can move. They really love the pull back cars where we can explore inertia and opposing forces. These cars are a great way to get in Newton’s 3rd law of motion, equal and opposite reactions. 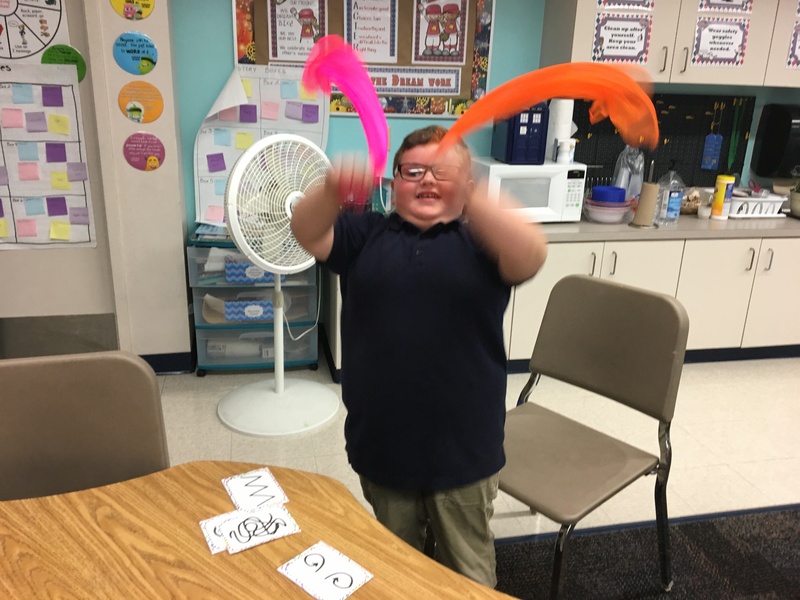 The students also love using the dancing scarves and the motion cards and copying to motions shown on the cards with the scarves. These are new to our classroom this year, and the students love using them. 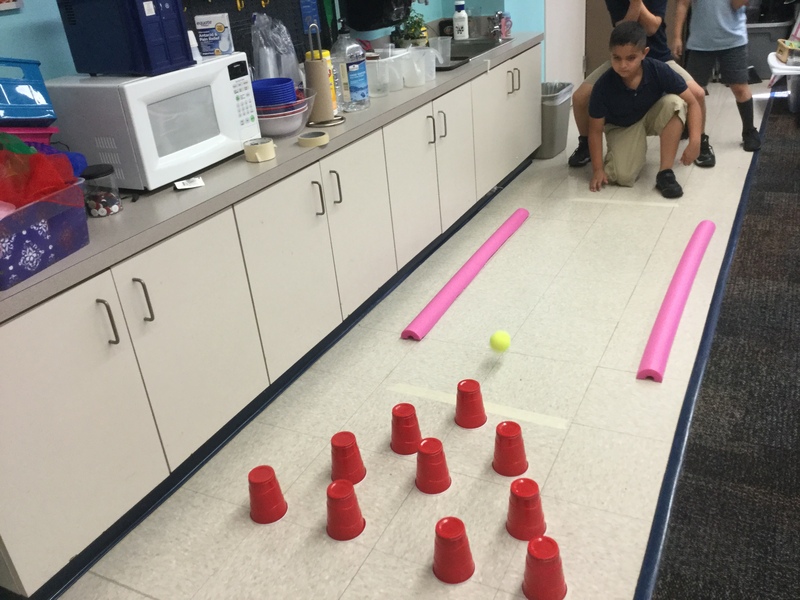 Second grade is having fun exploring Newton’s 3rd law through bowling. We are using one of Mystery Science’s lessons on Force Olympics. This was a Kindergarten lesson, but easily adaptable for 2nd grade. It’s a read along mystery, so the students are reading the story that goes along with the activity. Visitors to the lab are watching their step as they step over large pink pool noodle bumpers for our bowling alleys. We are using plastic Solo cups as the pins, and tennis balls to bowl with. The students take turns trying to knock down all 10 pins and resetting the pins. We talk about the amount of force needed knock over all of the pins (hard or soft force). This week Third Grade students are learning all about the properties of different materials. They are doing another Mystery Science lesson about why people wear clothes (for protection). Students explore the properties of common lunch packing materials (paper towel, piece of aluminum foil, a brown paper bag, and a paper plate) as they are presented with an EDC to design and construct a hat made from these materials to wear on a deserted island. The hat must be able to keep the sun out of their eyes, be absorbent enough to whisk away sweat, and must stay on their head. This is one of the many fun engineering design challenges that Mystery Science does in their lessons. This week our Fourth Graders are continuing to learn about changes in matter. They are using Eric Carle’s Pancake, Pancake! 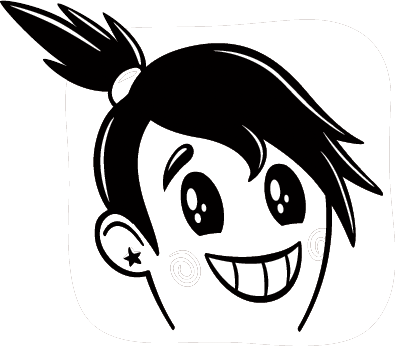 story and identifying the physical and chemical changes as Jack goes through the long process of having his grandmother make him pancakes. I am certainly glad it does not take us that much work or time to make the pancakes. This is a perfect example of how we can take a simple picture book and turn it into a lesson for our intermediate students. 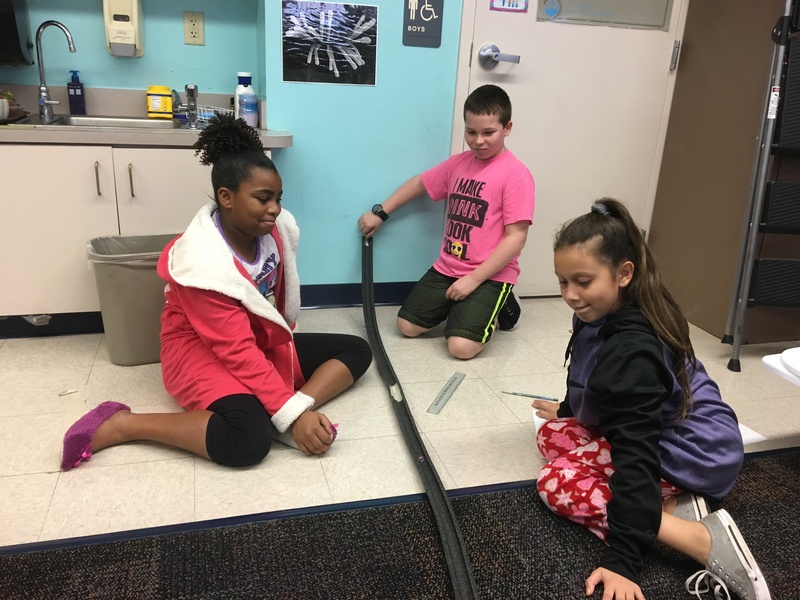 This week Fifth grade is exploring motion and force through marble coasters in another Mystery Science lesson. The students are helping to design a miniature golf course with bumper coasters. The students are using foam pipe insulation cut in half for their coaster and marbles as their bumper cars. They are learning about kinetic and potential energy and how to place the peaks of the coaster for maximum potential energy to carry the bumper cars through the whole track without getting stuck. There is a trick to this challenge. They are (pretending) to build their bumper coaster course right next to a swamp. So if the coasters go too fast, they end up becoming alligator chow, or the marbles go into the cup.